Welcome to the world of hula hooping as translated for you by Katrina Vogt. I am a registered teacher with police clearance, and insured for public liability. ​I have interests in dance, music, drama, and...hooping! 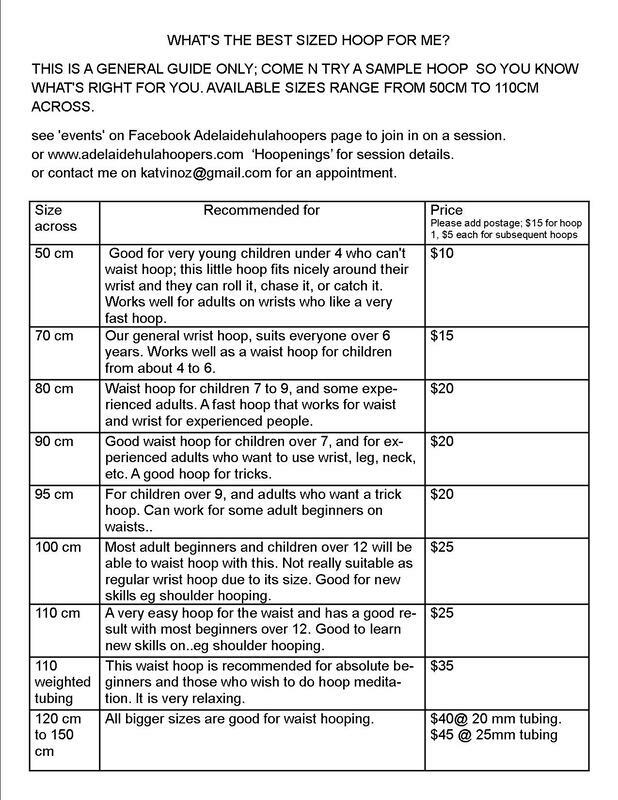 ​I make hoops..I decorate hoops..I teach hooping skills. On this site you'll see what I and my friends get up to. Feel free to join us! ​BE BRAVE...BE BOLD...WEAR YOUR HOOPS ON YOUR HEART..YOUR LEGS..EVERYWHERE.. Can you live without these amazing hoop gear designs? Sale now on at Redbubble..use the coupon on the site header. Designed by me...these tights and T will get you noticed.. in fact, they'll see you coming a mile off. Quality is excellent. Tights..xl size suits Australian 14; snug fit. 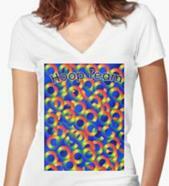 Relaxed fit ladies Tshirt..14 is an M..don't get xl. It is huge. I'm swapping it for a fitted ladies Tshirt in M; we will see how it goes. ​Join in with the roller skaters to roll at Tonsley, and grab a hoop too! 7.30 to 9pm. Next sessions.. every Monday. Any booked hooping skills sessions start at 8. Call before 5pm on the day to set up your needs. Be part of our skillful lunacy! See our beachy moves via youtube! with the Adelaide Fire Spinners..under the King William Street Bridge. Click the button and select 'events' to see when hoops will be there. What hoop should I get? 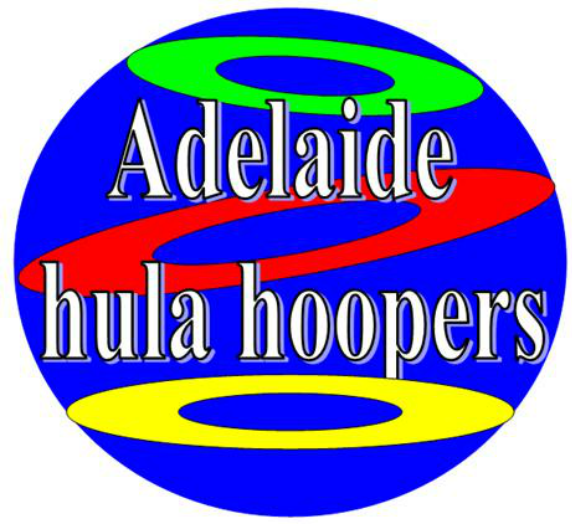 Keep up with us on facebook..join the Adelaide hula hoopers page for great hoop ideas and up to the minute session times!